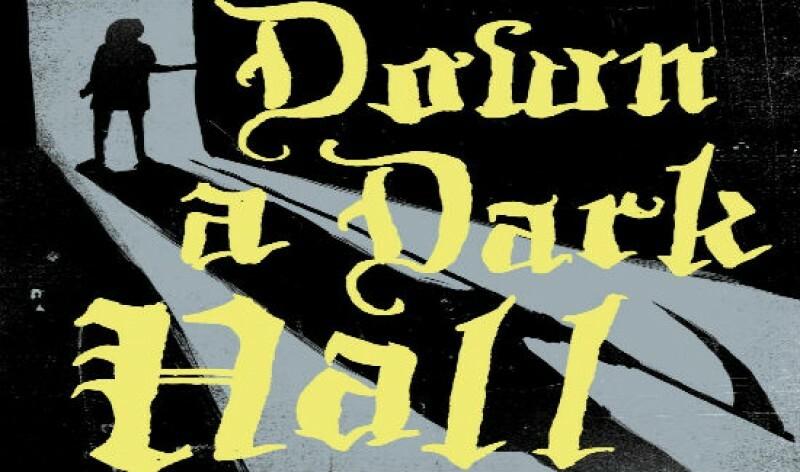 Los Angeles (April 18, 2012)—Fickle Fish Films and Temple Hill Entertainment have optioned the rights for the acclaimed supernatural suspense novel “Down a Dark Hall” by screenwriter Michael Goldbach. Goldbach is a rising writer-director. In 2004, he co-wrote for the Sundance hit “Childstar” and has written for the TV series “Odd Job Jack.” Most recently, Goldbach made his directorial debut for the film “Daydream Nation” starring Kat Dennings, based on his own screenplay. Lois Duncan’s 1974 classic revolves around the haunted and tragic past of Blackwood boarding school and its mysterious students. Ensnared in the chilling world is new student Kit Gordy, who must unravel Blackwood’s history before it’s too late. Fickle Fish Films is represented by United Talent Agency. Fickle Fish Films was created by Stephenie Meyer and Meghan Hibbett as a dynamic home for literature-related films and media. Through the independent production company, Meyer and Hibbett will not only work with established filmmakers to produce smart, compelling and entertaining material, but also fulfill their creative mission to discover new literary talent and help bring their stories to life on screen. Fickle Fish Films recently wrapped production on the adaptation of New York Times Bestselling Author Shannon Hale’s Austenland. The romantic comedy, directed by Jerusha Hess (Napoleon Dynamite) stars Golden Globe® winner Keri Russell, with a supporting cast that includes JJ Field, Bret McKenzie, Jennifer Coolidge and Jane Seymour. Fickle Fish Films produced The Host, based on the bestselling novel by Stephenie Meyer, which stars Saoirse Ronan, Diane Kruger, Frances Fisher, Jake Abel, Max Irons, and William Hurt. Directed by Andrew Niccol (In Time), The Host was released March 29, 2013 from Open Road Films. In February of 2006, veteran producer Wyck Godfrey and former United Talent Agency partner Marty Bowen created their own production company, Temple Hill Entertainment. They secured a deal with New Line Cinema and immediately entered into production on their first film, THE NATIVITY STORY, from director Catherine Hardwicke. The modestly-budgeted Christmas-themed movie went on to gross almost $40 million dollars domestically in December of 2006. Next, the two went on to produce the Sidney Kimmel Entertainment-financed, romantic comedy, MANAGEMENT, starring Jennifer Aniston and Steve Zahn, which premiered at the 2008 Toronto Film Festival and went into wide release in May 2009. What followed was nothing short of a pop cultural phenomenon: production of Catherine Hardwicke-directed fantasy love story, TWILIGHT, based on the best-selling series of books by Stephanie Meyer. The film opened on November 21st from Summit Entertainment to a record-breaking $69.6 million opening weekend-and attracted a huge cult following. Bowen and Godfrey released the second film in the TWILIGHT saga, NEW MOON directed by Chris Weitz in November 2009. Temple Hill Entertainment’s most recent productions are Lasse Hallstrom’s DEAR JOHN, starring Channing Tatum (STEP UP, GI JOE) and Amanda Seyfried (MEAN GIRLS, MAMMA MIA) based on the best-selling novel from Nicholas Sparks, David Slade’s ECLIPSE, the third film in the TWILIGHT Saga, and EVERYTHING MUST GO starring Will Ferrell, Rebecca Hall, and Lauren Dern, which sold to Lionsgate/Roadside Attractions at the 2010 Toronto International Film Festival.